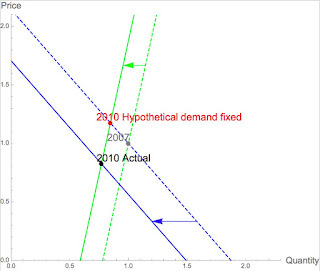 Supply and Demand (in that order): How Can I Get Introduced to Automated Reasoning for Economics and Statistics? A new paper on automated econometric reasoning. No economic theory here but being newest it is my most user-friendly paper. Also the analogy with economic theory should be pretty clear. The youtube channel containing two 45-60 minutes seminars I gave, one at Chicago Economics and the second to a Microsoft Research audience that was more computer science than economics. Browse dozens of examples in pdf format. Even better, execute them yourself using Mathematica. My original paper on automated economic reasoning, whose primary value given (1) is that it contains the economic theory examples.